Making bread is one of my favorite things to make in the kitchen because it’s so easy and extremely rewarding. I know that a lot of people get intimidated when it comes to making bread at home but trust me when I say that once you get the hang of it, you simply can’t stop making it. 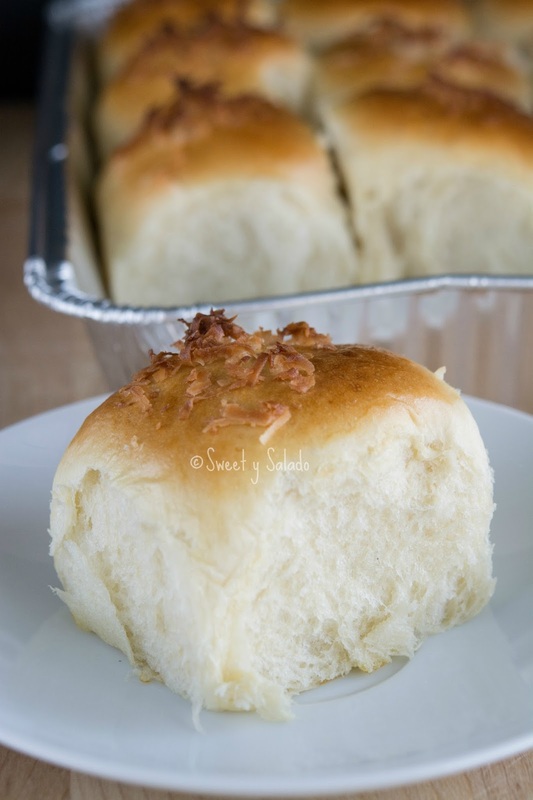 And that is probably the reason why this is the fourth or fifth bread recipe I have written on the blog and be sure that it won’t be the last. 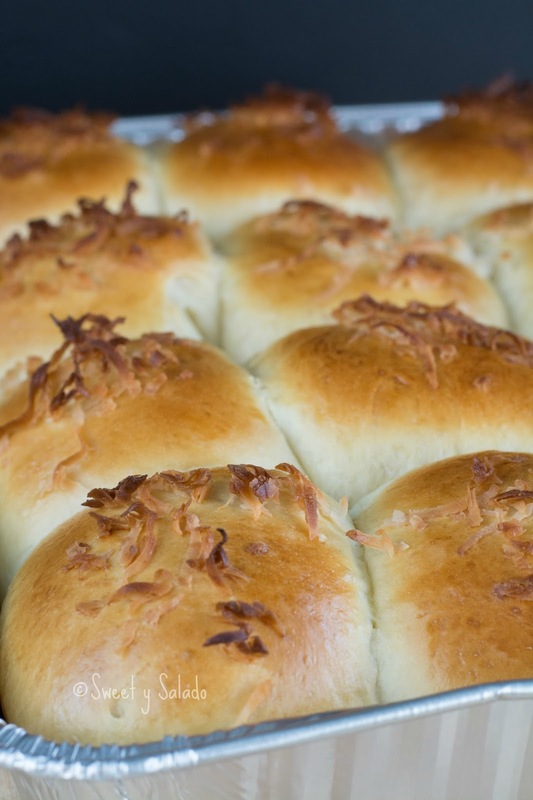 Colombian coconut bread is one of the most popular types of bread that you will find in Colombia. You find it at bakeries, grocery stores, restaurants and it’s simply because Colombians love both, coconut and all kinds of bread. But unlike other countries, we almost never serve it with our meals, so you will rarely see it served with a big bowl of sancocho or a plate full of rice and beans. We love to eat our bread for breakfast or as a snack with a nice cup of coffee or hot chocolate. 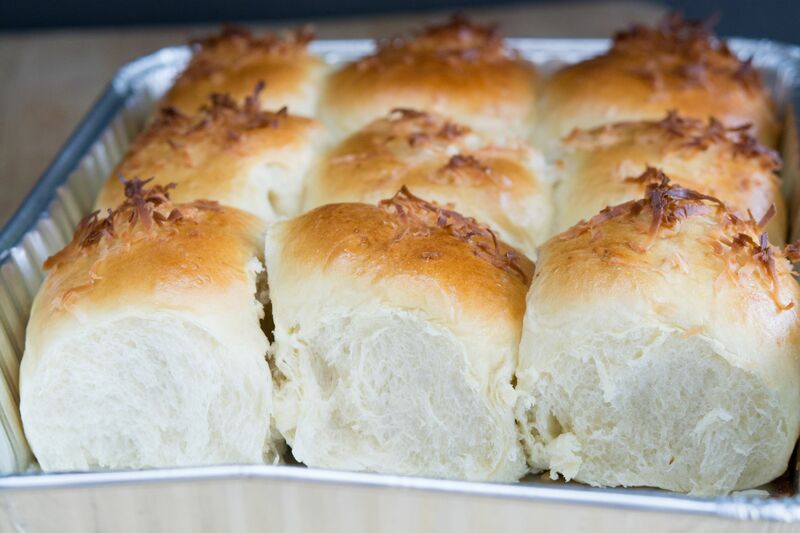 And what could go better with a nice cup of coffee than a sweet coconut bread roll? 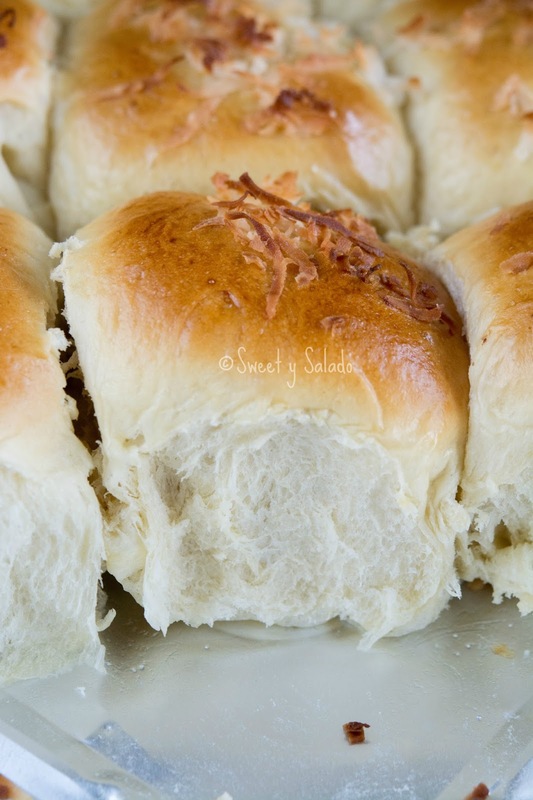 I have always made this recipe with coconut extract but I understand that it may not be easy to find for some people. In that case, feel free to use vanilla extract, they won’t come out with that full coconut flavor but they will still come out perfectly fine. Also, you can use either coconut milk or coconut water to make this recipe. I usually use coconut milk because I tend to have it in my fridge for other recipes but either one will work just fine. Using a Standing Mixer: Mix coconut milk, dry yeast and ¼ tsp of white sugar in a small container and let it stand for about 5-8 minutes or until a foam forms on top indicating that the yeast is activated. Add one large egg, melted butter and coconut extract and stir. Beat the second egg with 1-2 tbsp water to make an egg wash. Brush the rolls with the egg wash and sprinkle each one with the grated coconut on top. Bake at 350ºF (180ºC) for about 20-25 minutes or until golden brown. Serve immediately. My dough just keep spinning around attached to the dough hook. Should I add more coconut milk to loosen it??? Once all the ingredients are mixed the dough will keep spinning inside the bowl and around the hook to knead it. That's what makes the dough really soft and elastic. I have found that the measurements I use work in either a warm or cold climate, so as long as you measure everything right, there should be no need to add more liquid, unless you see that it's so dry that it's not binding at all. You can also knead the dough by hand until it's smooth. It takes more effort but it works as well. Thank you. I will add just a bit more liquid.